As Harry Kane limped off after the final whistle of Tottenham's disappointing 1-0 loss at home to Manchester United, it was feared that Spurs' chances of a successful campaign were following him down the tunnel. Without Kane, many thought that Mauricio Pochettino's team would now be lumbered with no choice but to smash aimless long balls in the vague direction of Fernando Llorente, as - with the club's lack of transfer activity - there would be few other options other than to utilise the aerial nous of the Spaniard. Llorente did indeed become a more important member of the squad. He made 10 consecutive appearances for the team as a result of ​Kane's injury. He had only made 10 in total before Kane's absence. The Spanish target man was however not the club's new temporary attacking focal point. He was though a physical distraction who occupied opposition defenders whilst a member of ​Spurs' supporting cast stepped into the stoplight. 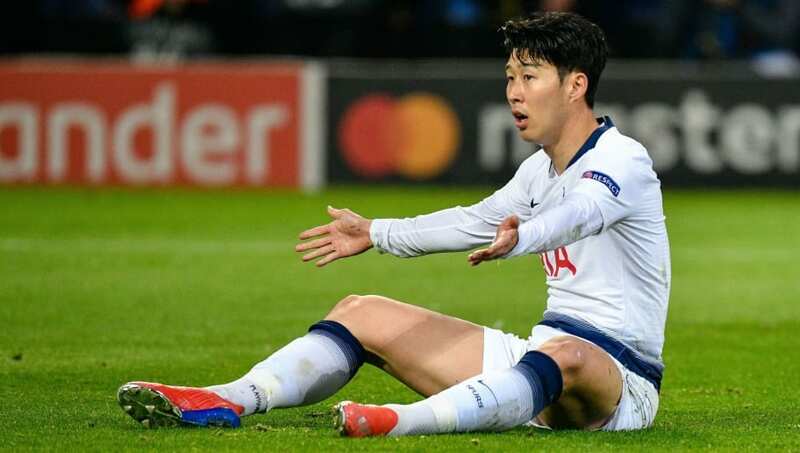 During Kane's injury layoff, Spurs won every game which South Korean attacker ​Son Heung-min played, with four goals guiding the club to five victories, including a vital 3-0 win at Wembley Stadium against Borussia Dortmund in the Champions League. Son's form however did not ignite as a result of Kane's absence. Before the ​Manchester United game, Son had scored nine goals in nine games, though he was less prominent, as during this run of goal scoring form, he only managed to score during two games in which Kane did not. So what has changed? Kane's return to the first team has coincided with a huge dip in form for Son, despite the duo's free scoring form in the games before the English striker's injury. Since returning, Kane has grabbed four goals in five games whilst Son has endured a barren spell in front of goal, failing to find the net in any. Many have looked towards a change in role for Son as the main cause of his loss of form, with the South Korean playing a less fluid role in the team, as Kane takes over his usual duty of being the club's main attacking threat. This however does not account for the pair's combined tally of 23 Premier League goals this season when both have played for Spurs. Both players have played 47 competitive fixtures for club and country since their appearances in their nation's first game of the World Cup. However Kane has had the opportunity to rest forced upon him due to injury. However, Son's impeccable injury record has meant that he has been ever-present for club and country since the summer. Son has looked noticeably jaded in recent fixtures, which may be a result of him ​arguably being the club's most important player in recent months. A dependency which will have been physically and mentally exhausting for the attacker. Following Tottenham's 2-1 defeat to ​Southampton, the club now have a period of three weeks until they face Liverpool at Anfield, in a fixture which could help decide the destination of the Premier League title. The lengthy break could be the tonic for Mauricio Pochettino to restore the form of his side, and in particular Son, who surely is relishing a spell away from competitive football following such a hectic schedule.